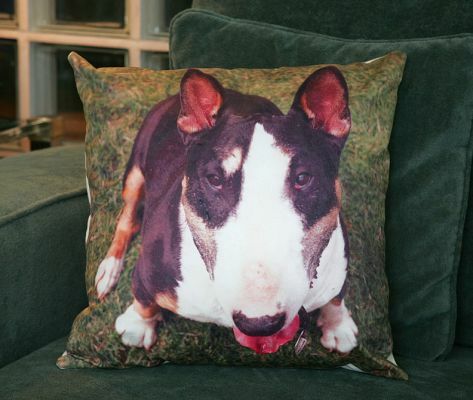 This cushion, featuring our photograph of Tapa, is made especially for Lucies Farm. It has a velvet smoothness, and the photo reproduction is excellent. Cushions are available with any of the photographs on this website -- something new from Lucies Farm.